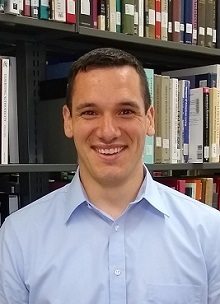 Shopping for Open Education Resources: An Introduction and Exploration: What's OER? 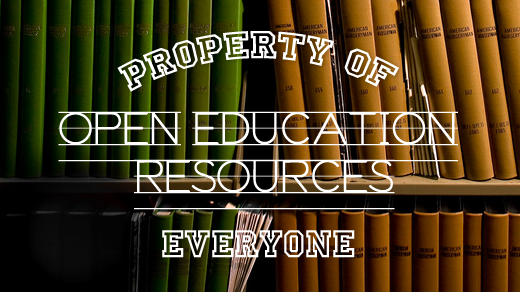 This guide includes a short introduction to Open Educational Resources and where to find them. Open Educational Resources (OER) are teaching, learning and research materials in any medium that reside in the public domain or have been released under an open license that permits no-cost access, use, adaptation and redistribution by others. OER are great! So are library resources! You can use them in combination, though you may not be able to adapt paid library resources. Check out this sample of library resources with potential for your classes. For help finding the material to suit your class or assignments, contact a librarian. New York Times Historic Backfile Description of this database. Many open educational resources are made available under the terms of Creative Commons licenses. Most, but not all, Creative Commons licenses are suitable for Open Education Resources. Licenses that do not allow users to create derivative works are not fully open. 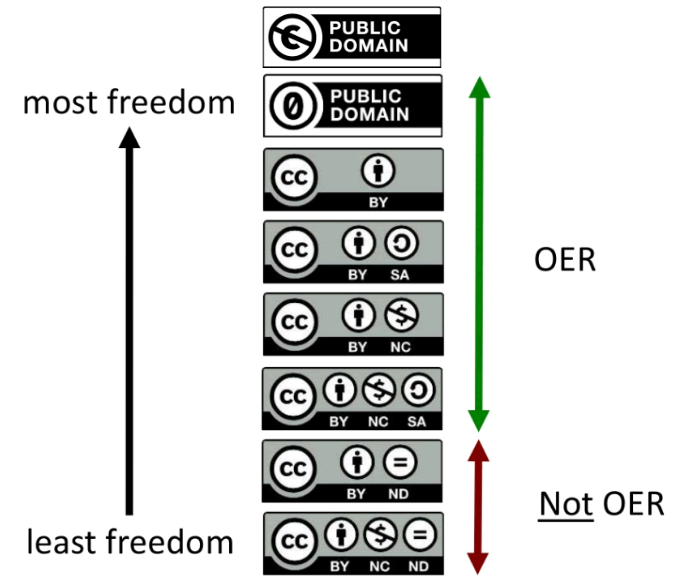 "Range of OER" (c) Anita Walz of VA Tech CC-BY 4.0. ...Okay, but what about quality? Great question! Explore the next few tabs for examples of projects just as concerned with the quality of OER. Creative Commons (CC) is a non-profit organization dedicated to expanding access to creative works. Creative Commons makes their licenses freely available to the public. These licenses allow creators to clearly communicate which rights they wish to retain and which rights they waive for the benefit of others. Creative Commons is a great resource for creators and users of content. All Creative Commons licenses require users to attribute works to their author. Learn more about attribution under Creative Commons licenses here. "Creative Commons." Wikipedia: The Free Encyclopedia. Wikimedia Foundation, Inc., 9 May 2018. en.wikipedia.org/wiki/Creative_Commons. Accessed 14 May 2018. Creative Commons. "What we do: What is Creative Commons?" creativecommons.org/about. Accessed 14 May 2018.